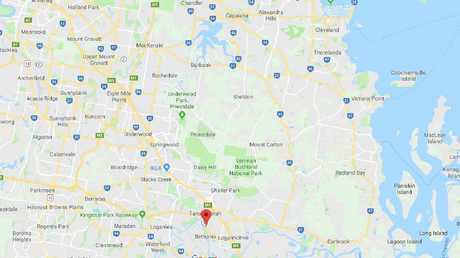 A semi-trailer has come off the Logan Motorway at Tanah Merah, south of Brisbane. 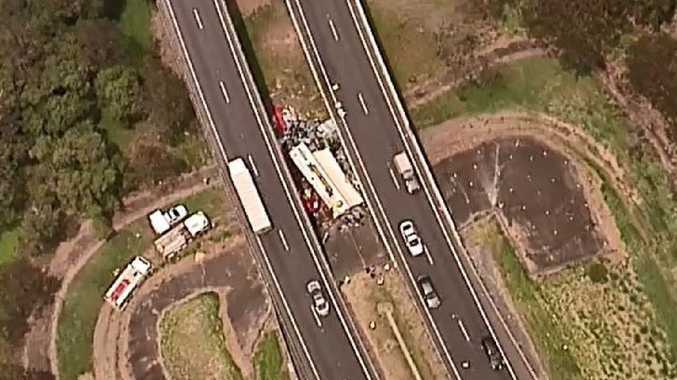 UPDATE: THE driver of a truck that plunged off the Logan Motorway has been killed. Queensland Police officers told journalists the man did not survive the crash, which happened about 11.30pm last night but was not discovered until this morning. The truck was heading west on the motorway when it rolled down an embankment. "At this point we're unable to determine cause," Acting Senior Sergeant Ben Reeve said. He confirmed police attended the crash around 9.30am this morning, but couldn't confirm if anyone had reported the crash earlier. Senior Sergeant Reeves said the crash was first seen by someone walking. He said the truck would not have been visible to passing motorists. "At this time it seems the truck has gone over the concrete barrier and then come to rest in the culvert," he said. "It would highly unlikely that motorists travelling at 100km/h to see that truck." Police urged anyone in the area of Logan Motorway westbound who may have any dashcam footage to contact Crime Stoppers. 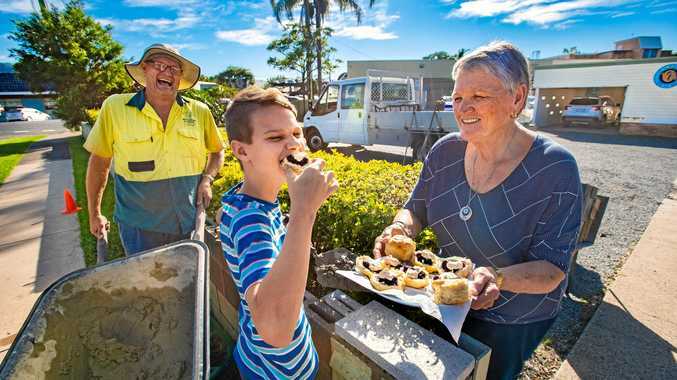 It is believed the driver was from Coffs Harbour-based Lindsay Brothers. 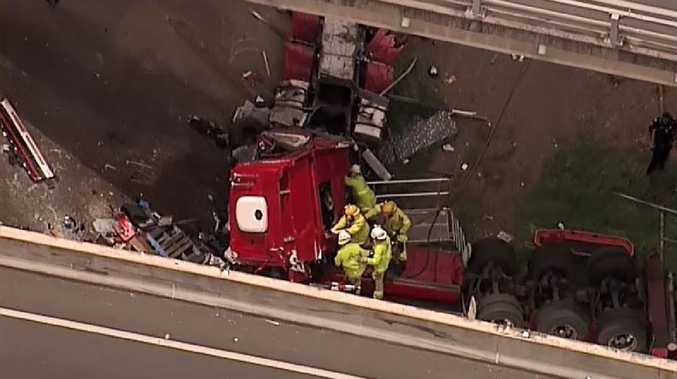 EARLIER: Emergency crews are working to free the driver of a semi-trailer that drove off the side of an elevated stretch motorway and crashed. 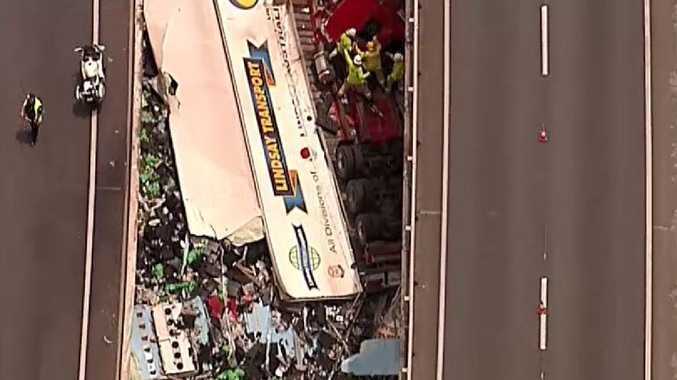 The incident occurred on the Logan Motorway at Tanah Merah, south of Brisbane, about noon local time (1pm AEDT). 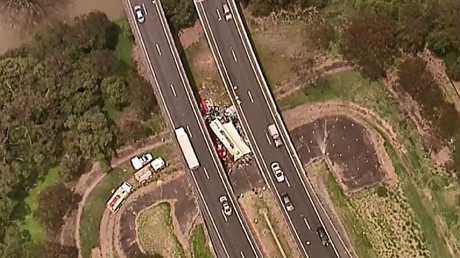 It appeared the truck went off the road as the motorway passes over Slacks Creek. Channel 9 helicopter vision from the scene shows the mangled wreckage wresting on the ground below. Rescue authorities are working to free the driver from the mangled wreckage. Queensland Police says eastbound lanes are closed with diversions in place at University Drive and Loganlea Rd. Westbound lanes of the major motorway are down to one lane, with considerable delays expected in both directions. Queensland Fire and Rescue crews are working to free the driver from the truck's cabin. A map showing the approximate location of the truck crash.